The cabin air filter cleans the air that comes into the interior through the heating, ventilation and air-conditioning system. It catches dust, pollen and other airborne material that can make riding in a car unpleasant, particularly if you have allergies or other respiratory problems. Save $5.00 when we replace your cabin air filter with a Genuine Mazda cabin air filter. Can you see clearly and safely? Have our Mazda Service Department install a pair of Genuine Mazda replacement wiper blades and save $5 with this coupon. We will visually inspect the air conditioning compressor, air conditioning hoses, drive belt, serpentine belt and all accessible components for cracks, leaks or damage. 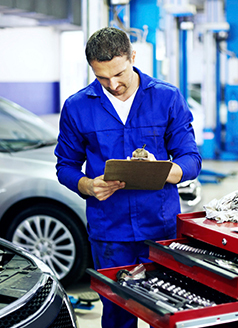 Check the operation of the air conditioning compressor for leaks or damage. Add BG Frigi-Charge to enhance the efficiency of the air conditioning performance. Add BG Frigi-fresh to kill bacteria and freshen the air coming out of the vents. Plus applicable taxes. Valid only at FREYSINGER MAZDA. Cannot be used with any other applicable offer. Mazda vehicles only. Prices may vary by model. Hazardous waste fee if applicable. Please present coupon at time of write-up. Coupon expires 07/07/2019.